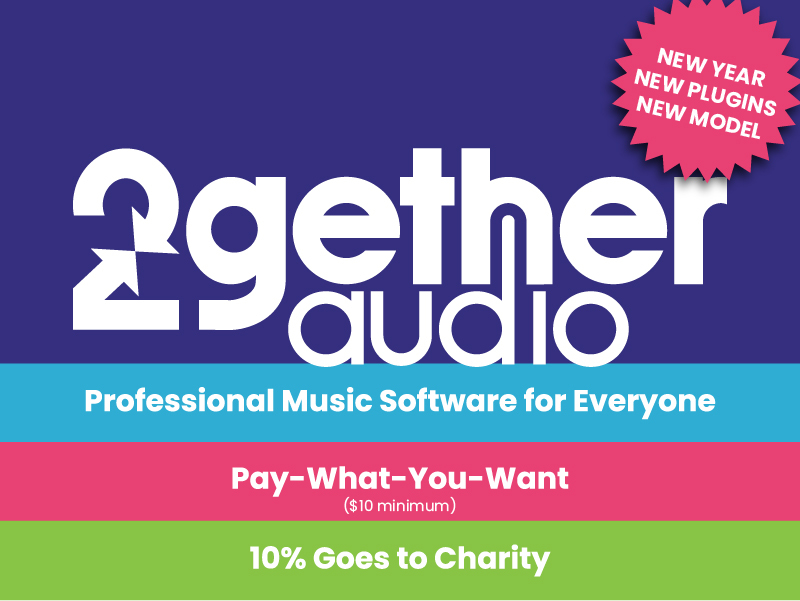 2GETHERAUDIO LOWERS THE MINIMUM PRICE ON ALL ITS PAID PRODUCTS TO $10 WHILE STILL ALLOWING MUSICIANS TO GIVE TO A CHARITY OF THEIR CHOICE. Boston, MA USA (February 5, 2019) – 2getheraudio™, (https://www.2getheraudio.com/), announced today they have rebalanced their unique business model where customers ‘pay-what-they-want’ and part of the purchase price goes to a charity of their choice. The new model will reduce the minimum price requirement to a very low $10 for all paid products. Customers may still choose a charity to give to for each purchase. The new charity percentage will be 10%. 2getheraudio makes virtual instruments and effects for musicians, producers, and others making music using their computers. Its virtual instruments include RE4ORM – a freedraw additive synthesizer, G8TOR – a sequencer synth with live action pad effects and Cheeze Machine 2 – a synth string machine (available for free). Its effects include RE4ORM FX – a freedraw audio manipulator. The company also produces add-on expansion packs for its virtual instruments.